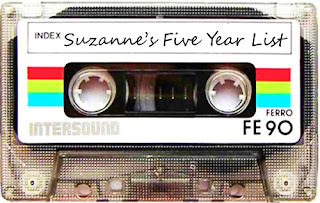 Fruitless Pursuits: Rocktober Mixtape: Suzanne's FIVE YEAR Mix! So I bet you thought I'd forgotten! Well, you'd be right. But regardless, I present thusly my Five Year list! 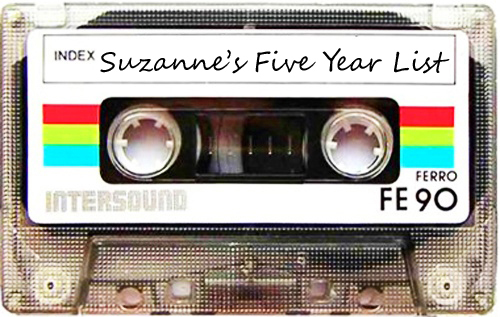 Join me after the jump for the logic behind the Five Year List - what does that even MEAN? This is my list of nine songs that I've had floating around me for more than five years, and still love the crap out of. Simple as that. You'll find Iron Maiden-esque power riffs, British trip hop, sassy Mike Patton-ism and that reliable old workhorse, Radiohead. Amongst others, some you may have heard of and some maybe not. Hit play for a scenic tour of what's happening inside my head at any given moment. Cmon, it's fun.